Medical malpractice lawsuits and payouts of damages have been a political hot button for years across the United States. Many jurisdictions have enacted some form of ‘medical malpractice reform’ that generally makes it more difficult for patients who are injured by substandard medical care to recover their losses. Despite these developments, there are many entities out there still studying this issue, and one of them is Diederich Healthcare, a company that provides professional liability insurance. Clearly, this is a company that has every interest in knowing as much about what leads to medical malpractice payouts as possible. A few weeks ago, the company released the results of its comprehensive research regarding medical malpractice payouts that included data from 2013. The full report can be found here. This analysis looked at the amounts paid, why they were paid and where they were paid and it looked at other trends that could be identified. Below are 5 facts regarding medical malpractice payouts that were made to patients during 2013, and many will find some of them quite surprising when comparing them to the rhetoric that they have been hearing in recent years. People who hear arguments in favor of limits on damages for medical malpractice cases often hear that medical malpractice payouts are skyrocketing. In 2013, $3.7 billion was paid out in these claims, which represents a rise of 4.7 percent when compared to 2012. This is also the first time this amount rose in 10 years. 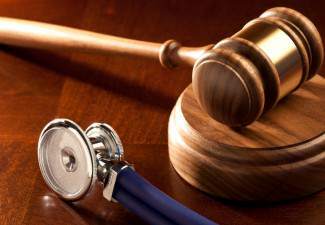 New York has long been known as a jurisdiction with high medical malpractice payouts, and according to this analysis the state ranks at the top along with Pennsylvania once again for 2013. More than $300 million was paid out to patients during the past year. Despite ranking at the top of all states in terms of medical malpractice payouts in 2013, the actual amount paid out dropped quite a bit during the last year. Specifically, $73 million less was paid to injured patients in New York in 2013 as compared to 2012. The analysis also broke down the problems that led to medical malpractice payouts. Mistakes regarding diagnosis led to 33 percent of the payouts made, while surgical mistakes were the next-highest at 23 percent of payouts. The research also indicated that 96 percent of the medical malpractice cases that led to payouts to injured patients were resolved by way of settlements. This is relatively consistent with the numbers that have been revealed in years past. If you or someone you love has been harmed as a result of substandard medical care, you should not simply believe what you hear regarding these cases. Instead, you should seek the advice of New York medical malpractice lawyers who have been fighting for clients for more than 40 years. Contact the Fitzgerald Law Firm, P.C., today to schedule a free initial consultation. This entry was posted in Blog, Medical Malpractice Blog and tagged Fitzgerald Law Firm, medical malpractice attorneys, medical malpractice payouts 2013, new york medical malpractice lawyers, New York personal injury lawsuit. Bookmark the permalink.